Oct 6, 2015, 5:21pm CDT Updated Oct 7, 2015, 4:29pm CDT by Olivia Pulsinelli Senior web editor Houston Business Journal. Houston-based ConocoPhillips (NYSE: COP) reportedly plans to buy one of the new buildings it’s leasing in the Energy Corridor. Real Estate Alert, a commercial real estate industry publication, reports the oil giant has agreed to buy Energy Center 3, at 935 North Eldridge Parkway, for $275 million. Los Angeles-based CBRE reportedly marketed the building. “ConocoPhillips routinely evaluates its lease arrangements and other real estate opportunities in order to identify and capture cost savings for the company. However, we don’t comment on specific properties or other market rumors,” said Daren Beaudo, spokesperson for ConocoPhillips. Meanwhile, CBRE Global Investors also is shopping the Marathon Oil Tower in the Galleria area, according to the same report. The Marathon Oil Tower, at 5555 San Felipe St., could sell for $300 million, which would be Houston’s biggest deal in the past 12 months, according to Real Estate Alert. Similarly, at $501 per square foot, the Energy Center 3 deal would be the highest per-foot price ever for a Houston office property outside of the Central Business District, according to Real Estate Alert. 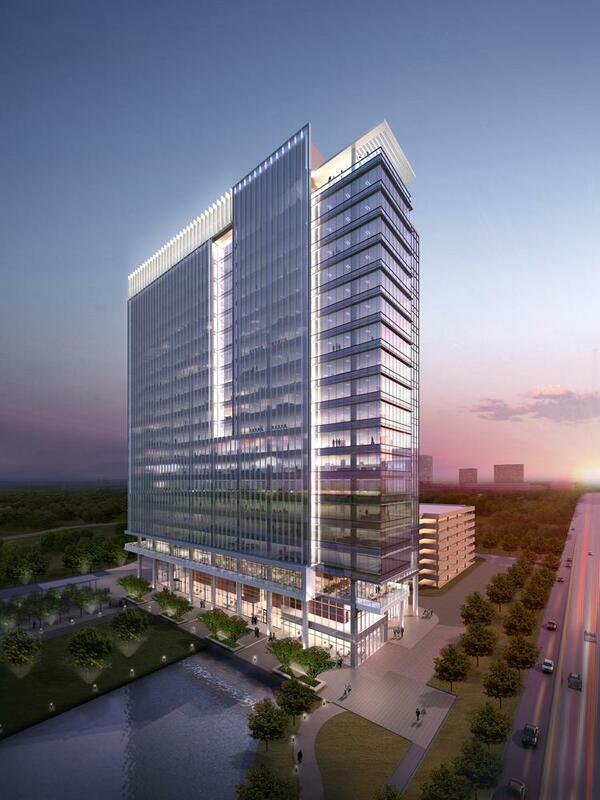 Dallas-based Trammell Crow Co. is developing Energy Center 3, 4 and 5 alongside Des Moines, Iowa-based Principal Real Estate Investors. Houston-based Kirksey designed the buildings, and Dallas-based Balfour Beatty Construction is the general contractor. Houston-based PDR is the interior architect. Energy Center 3 and 4 are both fully leased to ConocoPhillips. The 20-story, 548,000-square-foot Energy Center 3 broke ground in 2012 and was delivered in the fourth quarter of last year. As of June, ConocoPhillips was expected to begin moving into the building in August. Energy Center 4 is 596,000 square feet on 22 floors and broke ground in December of 2013. The building will be complete by the end of this year, and ConocoPhillips will move into that building next April. Marathon Oil Tower is 41 stories and 1.2 million square feet. When CBRE acquired the tower in 2013, it was 93 percent leased with 60 percent occupied by its lead tenant, Houston-based Marathon Oil Corp. (NYSE: MRO). Its total occupancy rate is roughly unchanged, according to Real Estate Alert. Olivia Pulsinelli is the senior web editor for the Houston Business Journal’s award-winning website. Follow her on Twitter for more.